Amritsar train accident: Punjab Chief Minister Amarinder Singh on Saturday ordered a magisterial enquiry into the Amritsar mishap in which 59 people were killed and several others injured when two trains speeding in opposite directions mowed down people standing on the tracks near a railway crossing. 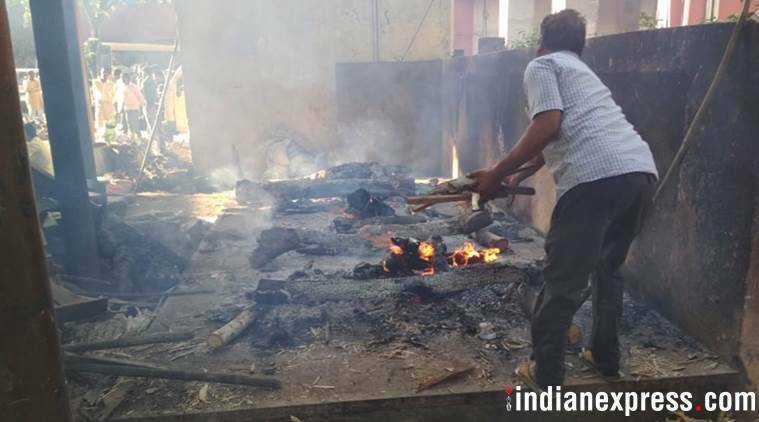 The victims were watching a Ravan effigy being burnt at a Dussehra celebration. The CM, who visited the injured in the hospital, sought a report within four weeks. At least 300 spectators were present at the Dhobi Ghat ground, barely 2 km from the Amritsar station, when the incident took place. Many of them stood on the tracks close to the Jaura Phatak crossing to get a better view and were taking videos of the burning Ravan as the first of the trains, 74643 Jalandhar-Amritsar DMU, ran them over. The second train, the 13006 Amritsar-Howrah Express, sped past seconds later and some of those who had jumped on the second set of tracks to escape the first were caught under it. "(Navjot Kaur) Sidhu's lie that she was not aware of the people standing on the railway tracks is exposed. 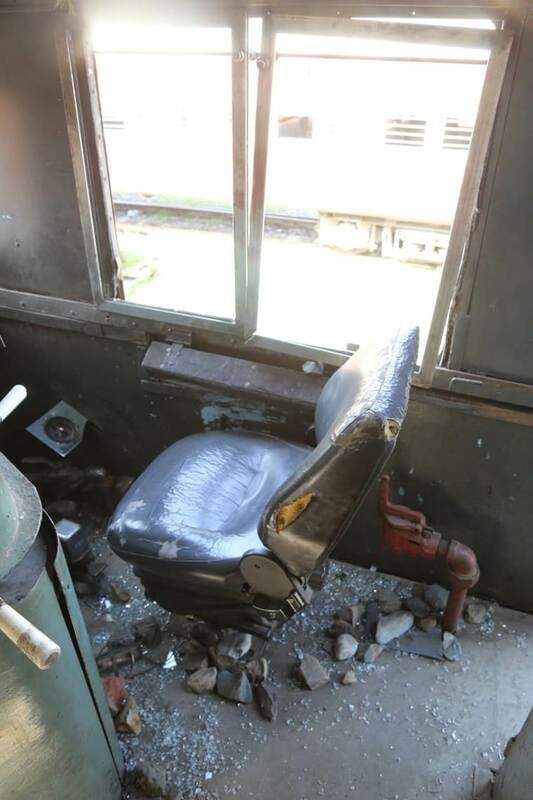 She is repeatedly being told, according to new video evidence, that there are people on the tracks and even if the trains arrive, nothing will happen to them," senior BJP leader Rajinder Mohan Singh Chinna said in a statement. He said the inquiry ordered into the incident by Punjab Chief Minister Amarinder Singh was a "mere eyewash". He alleged that Navjot Kaur Sidhu and Navjot Singh Sidhu were telling "one lie after another". Forty of the 59 people killed in the train accident near here have been identified so far and the bodies of 36 of were cremated, officials said Saturday. The bodies of four other persons, who belonged to Uttar Pradesh, have been sent to their hometowns by the district administration, an official said. The 36 bodies were cremated in batches at a ground near Shitla Mata Temple here in the presence of officials of the state government and family members of the deceased. BSP chief Mayawati Saturday demanded that a thorough investigation be conducted into the Amritsar train accident and those found guilty of negligence be punished. Mayawati, in a statement released in New Delhi, expressed sadness over the death of 59 Dussehra revellers who were mowed down by a train while watching the burning of a Ravana effigy standing on the tracks near Amritsar. The present govt is taking the accident lightly as CM is saying that the inquiry report will come after 4 weeks. FIR should be registered on the statements of the victims. The inquiry should be done by the independent agency, says Sukhbir Singh Badal. He earlier visited the accident spot and cremation ground. “The incident is tragic. We have learnt that some of the deceased belong to Bihar. Our condolences to all those who have lost their lives,” Kumar, who had served as railway minister under Prime Minister Atal Bihari Vajpayee, told reporters Saturday. A high level of alertness is required while holding any public function in the vicinity of a railway line, the chief minister said. “We do not know whether the Railways were informed in advance about the Dussehra programme. Whoever organizes events near tracks need to exercise great caution. The authorities, too, should take safety aspects into consideration before granting permission,” he said. “We will be scared of Dussehra for our entire lives now. 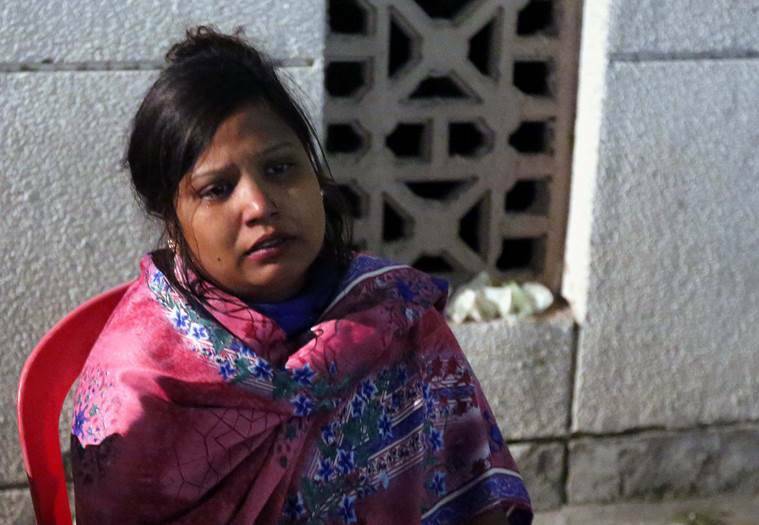 It is now a black festival for us,” Suman Devi said, as she held the door of an ambulance and cried inconsolably as the body of her three-year-old nephew Sarthak was offloaded. Suman Devi’s younger brother Pardeep, 22, who had taken Sarthak to see the Raavan Dahan, also died in the accident. “Pardeep was about to get married. We were searching for a bride for him. When we reached spot, my brother had already died but Sarthak was still breathing. We took him to three hospitals and finally came here but he could not be saved,” Suman said. CM Amarinder Singh has asked the home secretary to issue an immediate advisory for sale and storage of crackers during Diwali to ensure strict adherence to the safety rules and guidelines for the same. Taking serious note of the Amritsar train tragedy, the chief minister made it clear that no laxity would be tolerated in these matters. While the culpability in Friday's tragic incident would be fixed, it was imperative to ensure that such an incident was not repeated, he said. Most of the people who died or were injured in the tragic train accident during Dussehra festivities at Jora Phaatak of Amritsar on Friday were those living in colonies near railway lines. They have been living here for decades and watching the Raavan Dahan being held near the tracks, knowing well that it wasn’t safe. However, nothing untoward happened as it did on Friday when a train mowed down around 150 people and killed at least 59. Most of the affected families work as small-time labourers, wood polish workers, sanitary workers, gardeners, painters among others. They are mostly migrants from Uttar Pradesh and Bihar settled in Punjab for earning the livelihood. Punjab CM Captain Amarinder Singh has directed Home Secretary NS Kalsi to prepare detailed guidelines for permission to hold religious&social congregations,in order to prevent the kind of tragedy that struck Amritsar during Dussehra celebrations yesterday. Sukhbir Singh Badal, President of SAD reaches Joda Phatak where the DMU train ran over people who were watching Dussehra celebrations in Choura Bazar yesterday. He says,"It is an unpardonable negligence. Strong action should be taken. It is a mass massacre." Sukhbir Singh Badal, President of SAD reaches Joda pathak where the DMU train ran over people who were watching Dussehra celebrations in Choura Bazar yesterday. He says,"It is an unpardonable negligence. Strong action should be taken. It is a mass massacre." 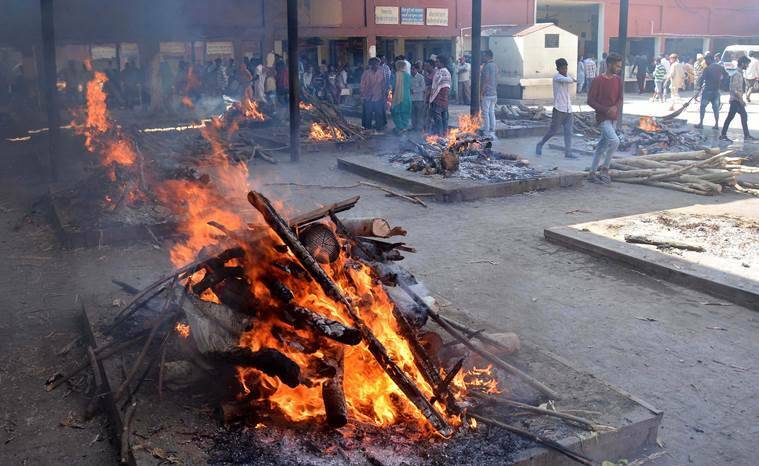 An FIR was lodged against unknown persons, officials said as locals asserted that effigy burning had been going on at the spot for at least 20 years. The Amritsar Municipal Corporation maintained that no permission was given. "Nobody was given the permission for organising the Dussehra event. Moreover, nobody had applied for the permission with the Amritsar Municipal Corporation," Commissioner Sonali Giri said here. 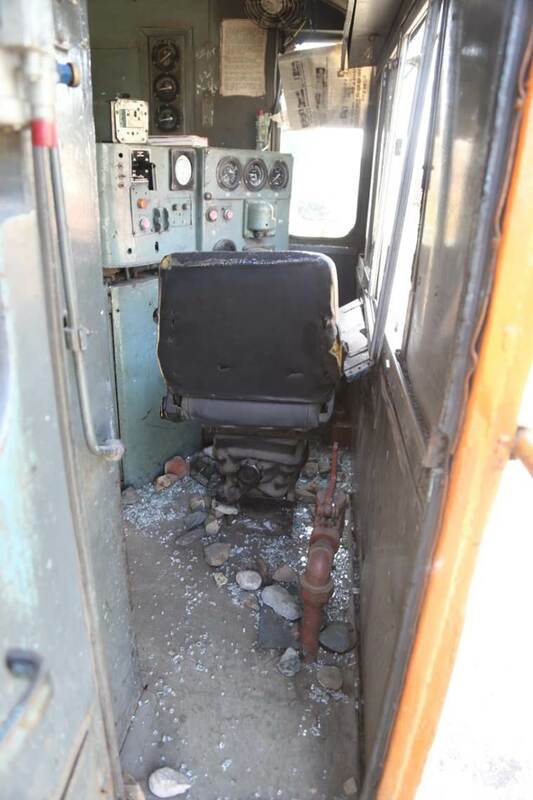 Railway Board Chairman Ashwani Lohani, who visited the spot at midnight, said the railways was not informed about the event and the accident occurred at a stretch between the Amritsar and Manawala stations and not at a level crossing. “It is usually a norm to conduct an autopsy of a body during the daytime. 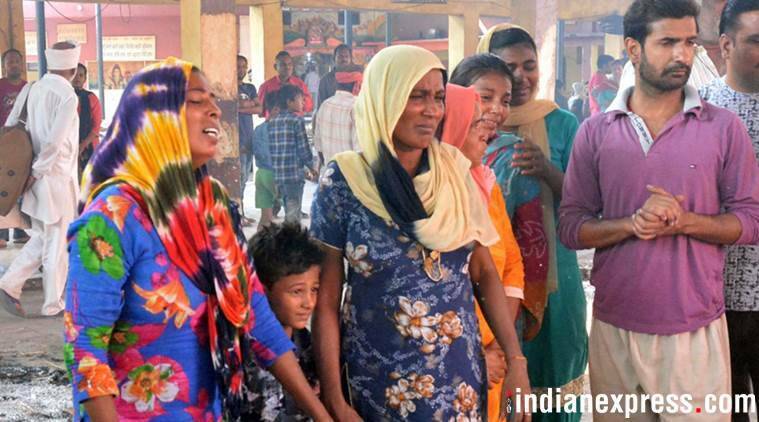 But in crisis like today, we have to conduct autopsies through the night,” Dr Sandeep Aggarwal, a senior pediatrician at Amritsar’s Civil Hospital, said, as he handed over bodies of children to their families. Several of the bodies brought to the hospital Friday were of children. Only 24 were identified by Saturday morning as the rest were dismembered beyond recognition. The hospital also received partial remains found scattered on the tracks after two speeding trains mowed over dozens of people in the city. 'Nobody had any intention to do this. There was no motive,' Navjot Singh Sidhu said, adding the incident was an irreparable loss. He also requested not to give the incident a 'political shape'. 'The question is that the accident should not be given political shape. It is an accident. Do not make false allegations and do politics on this issue,” Sidhu said. "When effigy of Ravana was lit, some people retreated back. Then the train came with a great speed and there was no horn and people did not come to know (about the approaching train) and it happened in a matter of just one or two seconds," he said. Defending his wife Navjot Kaur Sidhu, who was accused of leaving the accident site without bothering about the victims, the state culture minister said she was attending to patients at the hospital when allegations were being levelled against her. "When I talked to my wife Navjot Kaur Sidhu Friday, she was in a hospital," he said. The chief minister said he was at Delhi airport to leave for Tel Aviv when he heard of the tragic incident. He said he had to rush back after postponing his Israel visit. 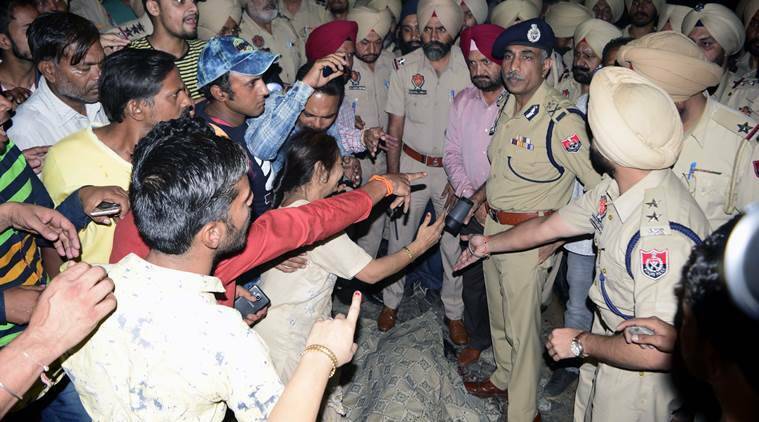 He said he wanted to visit Amritsar Thursday night itself, but was advised against it by the district authorities who did not want a VIP movement to divert attention from the urgent rescue and relief efforts needed at that hour. After landing at the Amritsar airport this morning, Singh reached the accident site. He met senior officials and members of a crisis management group to take stock of the relief work. A senior official in the district administration said most migrant workers from Uttar Pradesh and Bihar work in an industrial area at a stone's throw away from the accident site and live nearby. "As per initial reports, most of deceased were migrant workers from Uttar Pradesh and Bihar and were working in the industrial area to earn their livelihood," the official said. The official, however, did not give exact breakdown of numbers as 20 bodies were yet to be identified. Around midnight, few hours after the Dussehra festivities turned into a bloodbath when two trains mowed down hundreds of people gathered for Raavan Dahan at Jora Phatak, there was a frantic search for the loved ones as the administration struggled to accommodate the injured, police tried to complete ‘kagazi karwai’ (paperwork) and the number of bodies kept increasing. Read full story here. During his address to the media, the CM said a compensation of Rs five lakh each for the families of the deceased had already been announced by the state government. Besides, the government would bear the cost of medical treatments of the injured admitted to different hospitals, he told reporters. As many as 37 trains were cancelled and 16 diverted today. 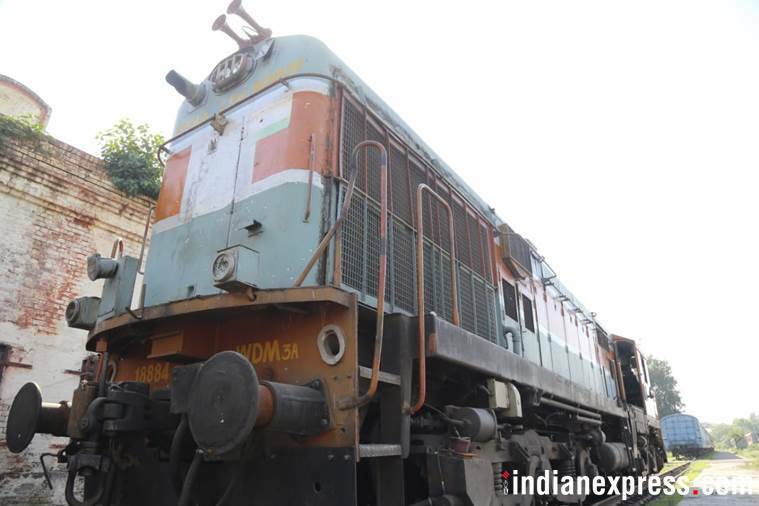 Providing details, the railways said 10 mail/express trains and 27 passenger trains were cancelled. While 16 trains were diverted and reached their destination through a different route, 18 trains were short terminated, Northern Railways spokesperson Deepak Kumar said. The route between Jalandhar and Amritsar was suspended, he said. The railways maintained that it had no information about the Dussehra function held near the tracks. Canadian Prime Minister Justin Trudeau also condoled the accident. "My thoughts are with everyone who has lost a loved one in the tragic train crash in Amritsar, India. Canadians are keeping you in our hearts tonight & wishing all those injured a full recovery," Trudeau said in a tweet. United Nations chief Antonio Guterres also expressed his deepest condolences to the families and friends of the victims. "My heart goes to all in Amritsar following Friday's tragic accident. Earlier this month, I was honoured to visit the Golden Temple and witnessed the warmth and generosity of the people. My deepest condolences to those who have lost family and loved ones," Guterres said in a tweet. 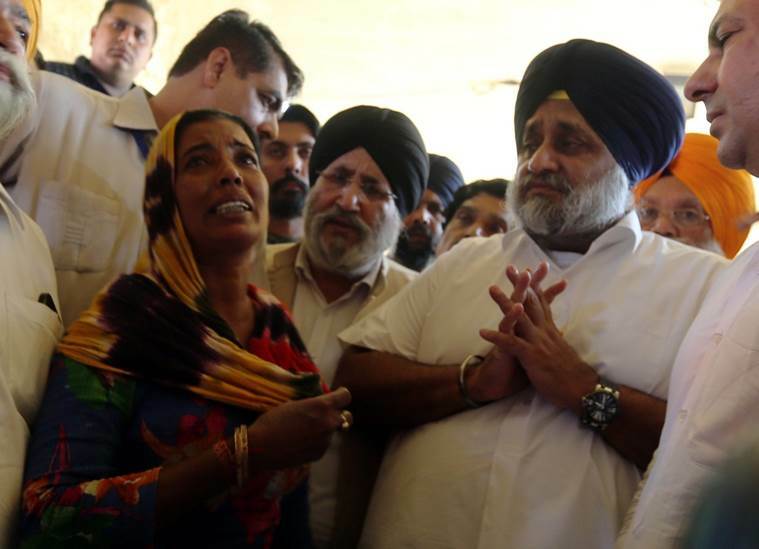 After meeting the families of the victims, Punjab CM Amarinder Singh ordered an immediate release of Rs three crore to the Amritsar district collectorate for payment of compensation to the family of the deceased. Complying with the directions, the Chief Minister's Office has issued RTGS (Real Time Gross Settlement) instructions to the bank concerned. Reiterating the railways' claims, the Amritsar Municipal Corporation said no permission was granted to hold Dussehra celebrations at the Dhobi ghat ground. "Nobody was given the permission for organising the Dussehra event. Moreover, nobody had applied for the permission with the Amritsar Municipal Corporation," Amritsar Municipal Corporation Commissioner Sonali Giri said. The commissioner also said that unlike last year, the event was held on a large scale on Friday evening. "Last year, the scale of the function was not as big as it was witnessed on Friday evening,” she said, adding there was also a small temple at the ground. Scores of people staged a sit-in on the railway tracks and raised slogans against the state government, demanding action against the train driver. One of the protesters alleged the train passed the area at a high speed and that the driver did not slow down the train despite the presence of a large crowd. 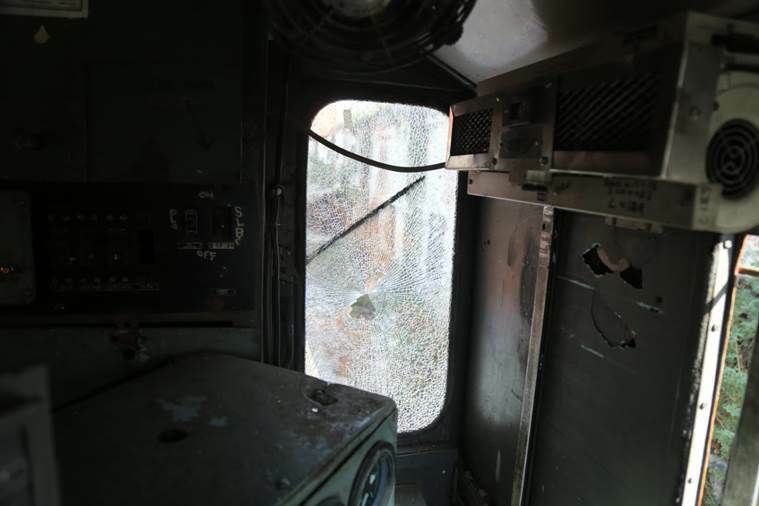 The incident bears a striking similarity to a 2012 train accident in Kerala where the Trivandrum-Kozhikode Jan Shatabdi Express struck down people who were standing on the tracks to watch fireworks, killing three and injuring one person.